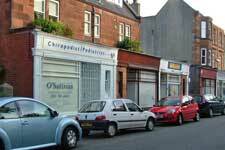 Find out about shops in the central part of the Granton area. The material on this page is partly recollections from the 1930s by W G Hay, author of ‘Our Changing Waterfront’, and partly recollections and research by Ian Lutton. I gratefully acknowledge their contributions. 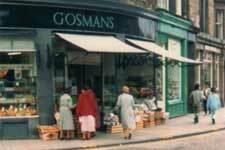 I am grateful to Ann Gosman and her father David Gosman for sending photographs of Gosmans shop at Goldenacre (pictures 26 to 30). 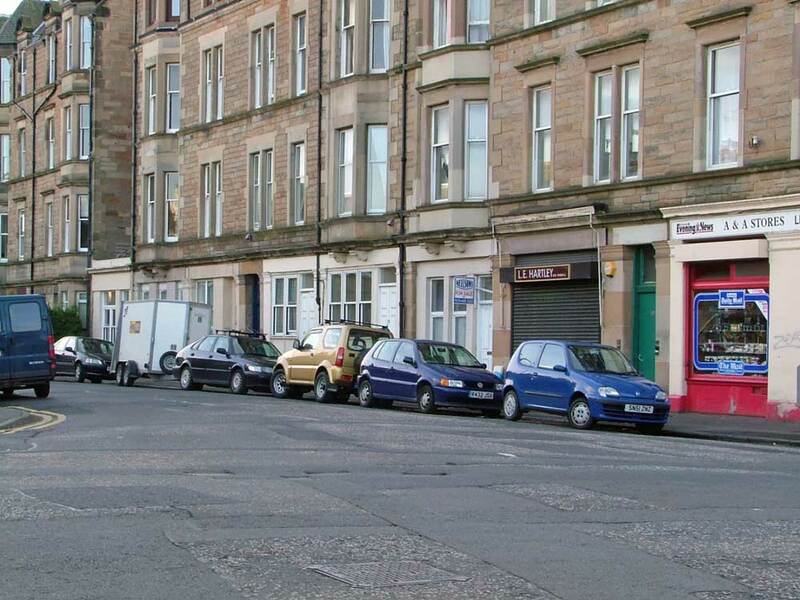 In the past, the Granton area had a large number of small local shops. Many of them have closed, and some have been converted to houses or to other uses. 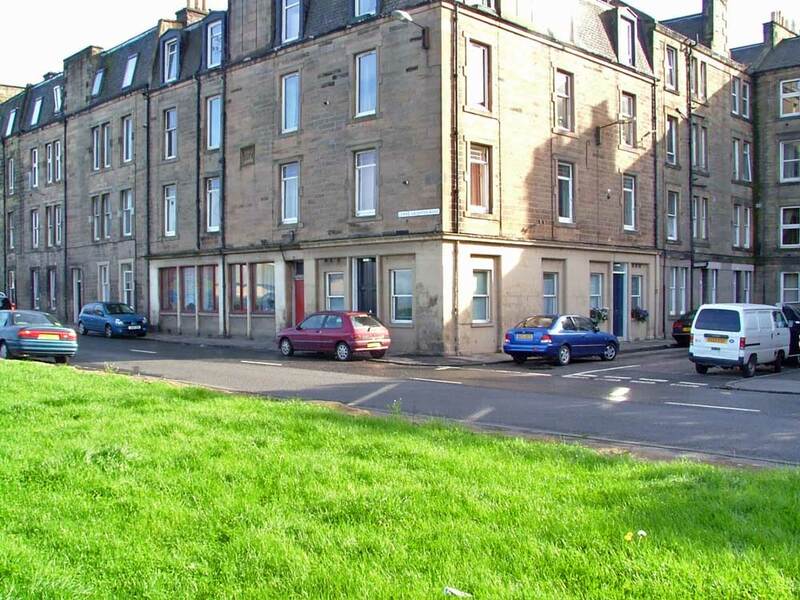 On this pages we take you on a stroll from Craighall Road to Granton Square, then up to Goldenacre. Click on a picture to see a large version. 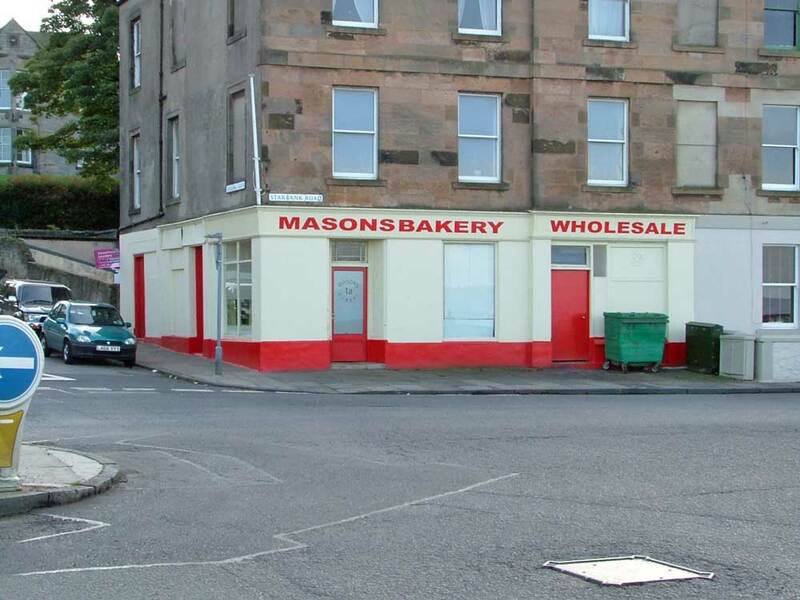 1 The only shop left in this stretch of road is Masons the bakers, at 1a Starbank Road, famous for its pies and vanilla slices. 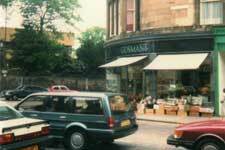 On Saturday mornings there was always a queue for the pies... Further along was a ladies’ and gentlemen’s hairdresser – the owner lived in Grierson Crescent. Mrs Laird, a general shop, then a confectioners’ (name unknown) – I wonder what trade she did. A watchmaker and his family lived and worked in the next shop, probably they were of Italian/Austrian origin. 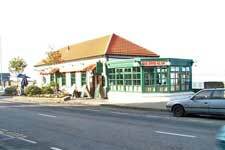 2 A grocer on the corner became in the 1960s a motorcycle shop and was until 2006 a joiner’s workshop. The grocer did not seem to do much trade. 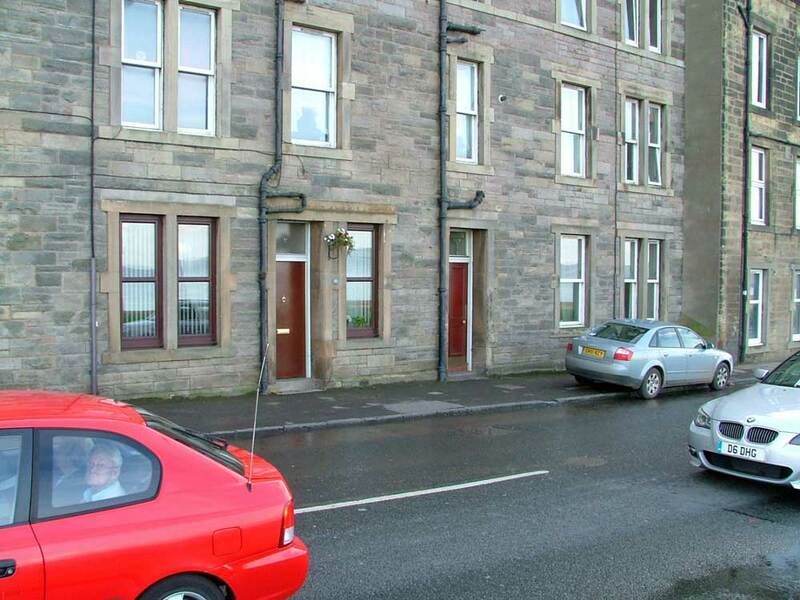 It has recently been converted into a flat. 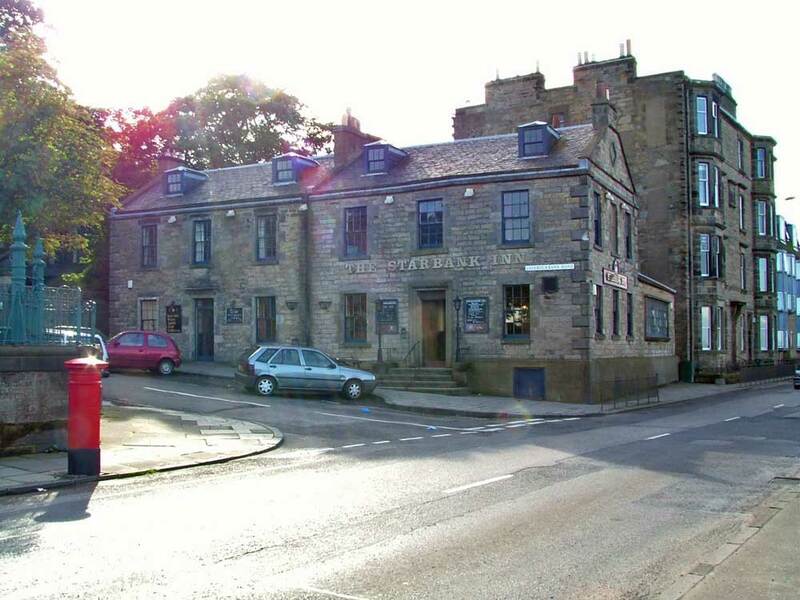 3 Across Laverockbank Road from the Starbank Park is the Starbank Inn, once a traditional public house and now an attractive bar and restaurant. Willie Scott was licensee some years ago. In 1914 he was a young football player with Hearts and also an excellent sprinter. 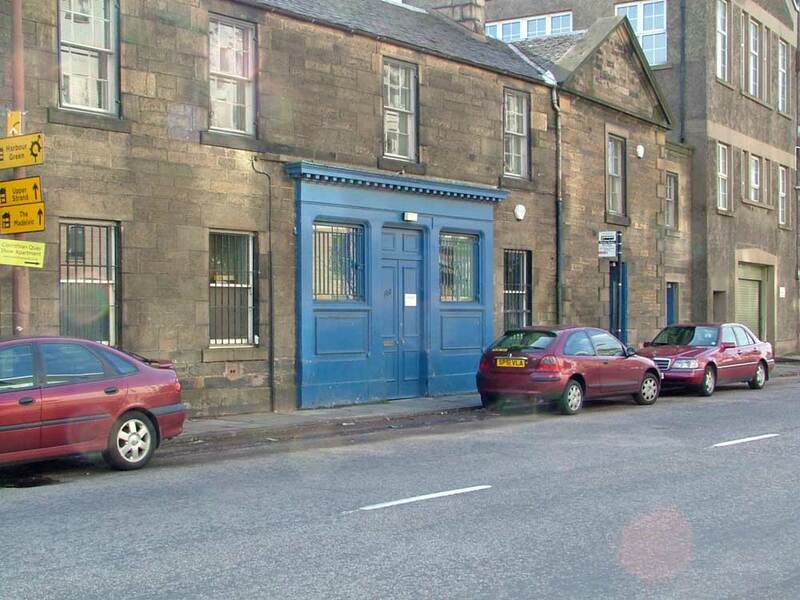 In Mr Scott’s time, the pub was known as the Starbank Arms. 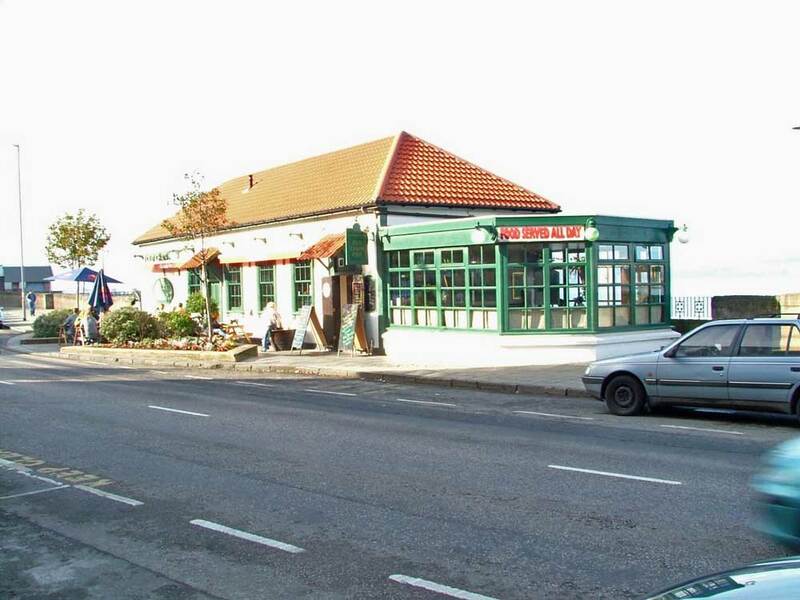 4 Now the shops opposite the Old Chain Pier Bar. 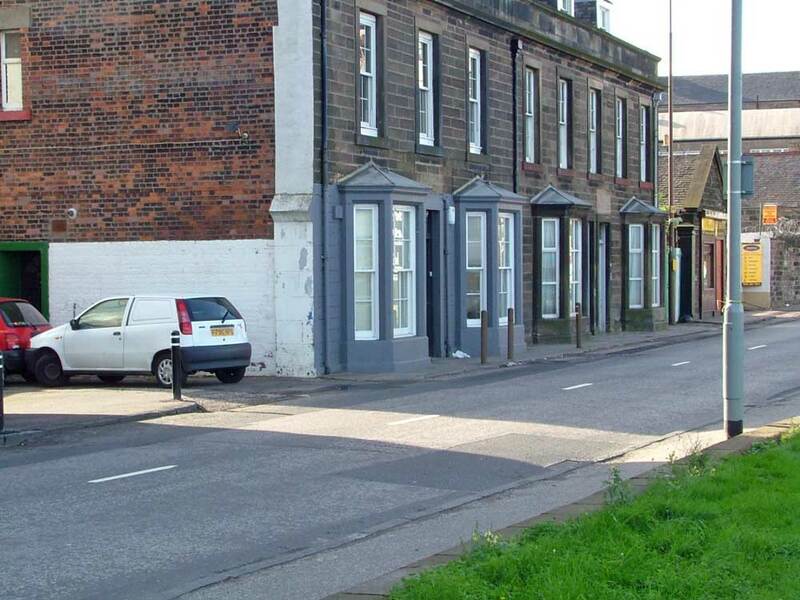 The first nearest to York Road, No 29, was run as a billiard saloon, which during the period of high unemployment in the 1930's would be well patronised. Next to it was Mrs Tait who ran a small general shop which dispensed Vantas Drinks from a glass container. 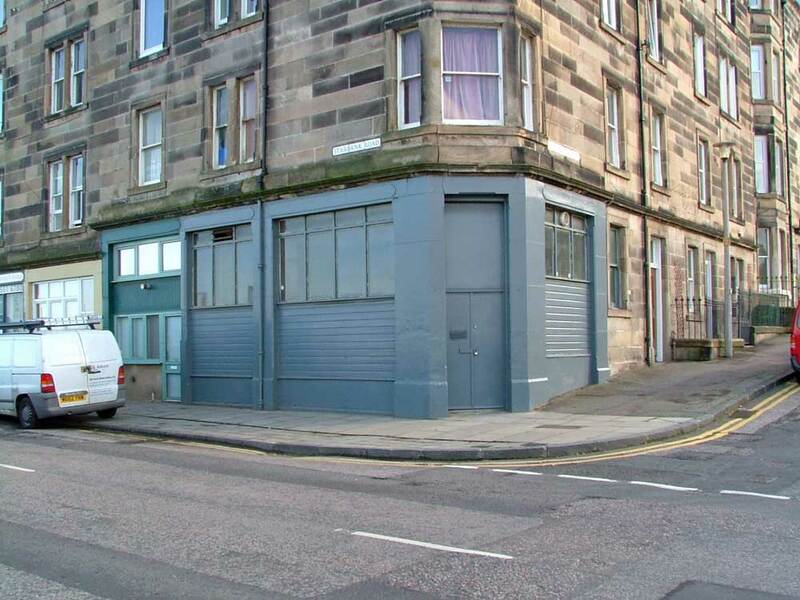 5 Louis Demarco's ice-cream shop came next at No 26 – he moved to the Jubilee Cafe in West Granton Road when the Corporation houses were built in that area around 1935. 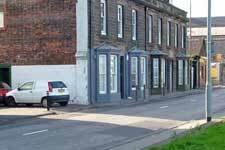 Jack Muir, Butcher, had worked for Barker who had shops in Main Street, Newhaven, near the Fishermens’ Hall and in East Trinity Road later occupied No 26 and built up a good business. Previously the business had been run by John Smith. 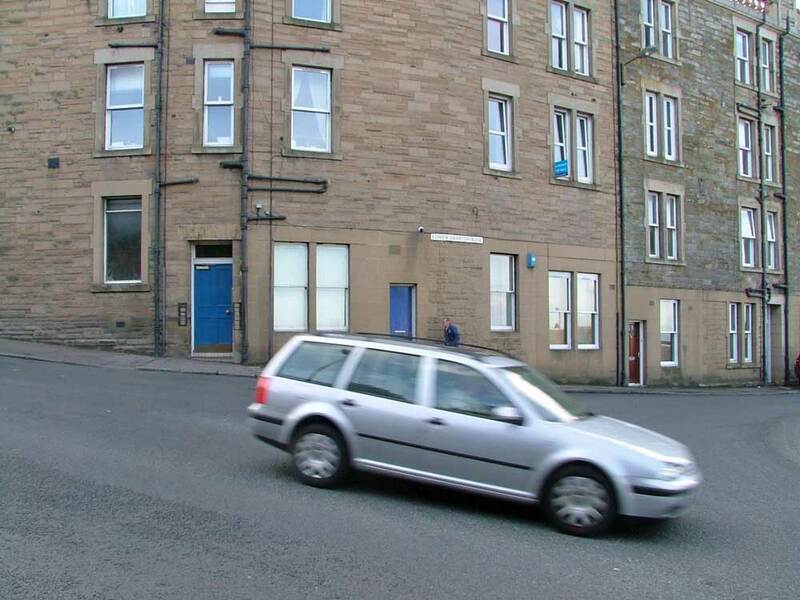 John Smith and Bob Smith (no relation) had been with Leith Provident Cooperative Society Fleshing Department on a hawking van, which was like the lower deck of a tramcar. 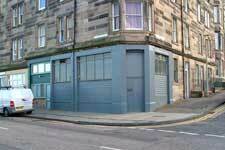 The business failed about this time: Bob Smith acquired the business of Mr Storie in Lower Granton Road near Granton Square. At No 25 was ‘Shoey’ Andrew Pendreich the cobbler, probably a native of St Andrews. 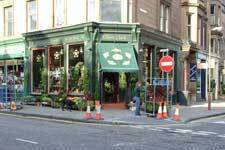 6 On the corner at No 23 was Brown, Grocer and Wine Merchant – a traditional grocer. Much of his trade was probably up York Road in Trinity. One of the shop windows displayed drink including Wincarnis. Sometime after the war John Lambert had the business for some years. There are flats above the shops and round the corner. This part of the crescent led up rather steeply to Trinity Station, closed to passenger service since 1925. 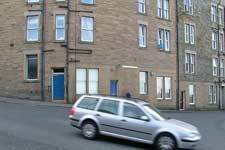 The station could also be approached from York Road where there is now a crescent of flats. 7 Across the road from the shops at the wide pavement is the Old Chain Pier Bar. 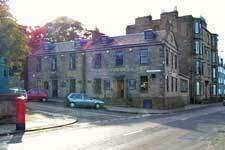 The pub has been extended a couple of times since the 1970s – before that it was a traditional public house where Betty Moss was licensee succeeding her mother. It started out as the booking office for the Chain Pier, which was built in the 1820s and had steamer services calling at it, but which was destroyed in a storm in 1898. 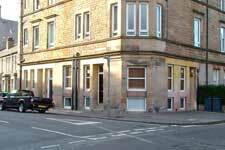 8 At the corner with Trinity Road, where the traffic lights are now, was Milne the Chemist at No 5, Leith Provident Cooperative Society at No 4, and Robert Scott Grocer and Wine Merchant at No 2. 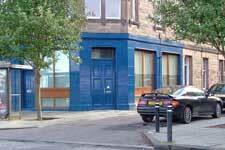 In the mid 1930's Leith Provident acquired all the shops. 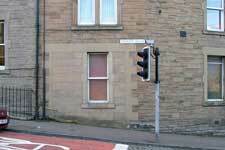 They were until recently used by D H Morris & Co Edinburgh Ltd, electrical contractors. Part of these premises has recently (October 2009) become a fireplace showroom. 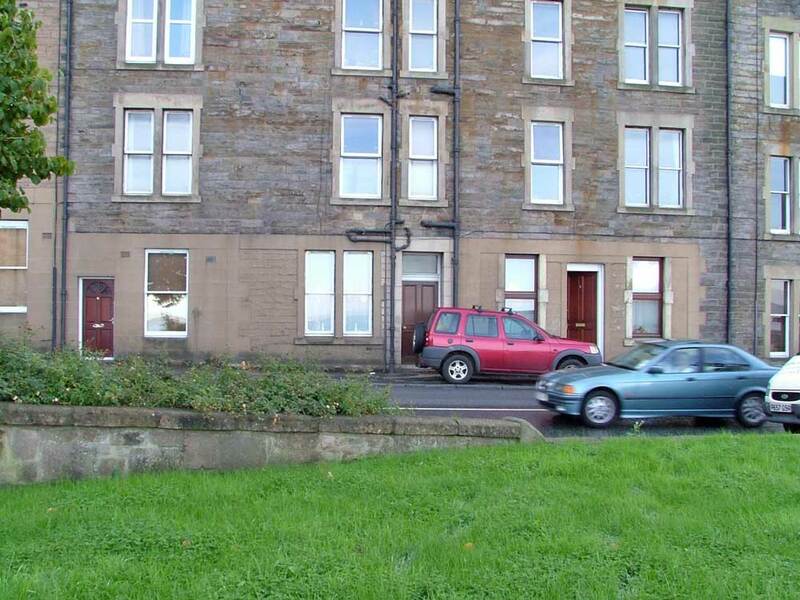 9 No 135 Trinity Road has been absorbed into the tenement and forms a room of a flat in No 1 Lower Granton Road. Mr Alex Urquhart had a fishmongers’ business here. He later opened a shop in Clerk Street opposite the Odeon, the New Victoria as it was then, as did his assistant Thomson Walton in opposition and within doors of each other. 10 No. 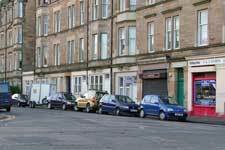 2 Lower Granton Road, Greengrocer and Fruiterer – Sandy Philip had been coachman to Peter McDougall, a Leith businessman who resided at Victoria Mount, Lennox Row. Mr McDougall had been Russian Consul. The greatly extended house is now called Lennox House. 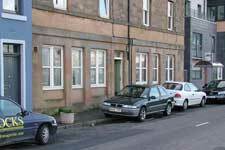 The stable and coach house were close to 52 Stirling Road. For some years Mr Philip had a small market garden in Netherby Road, adjacent to Wardie Church. 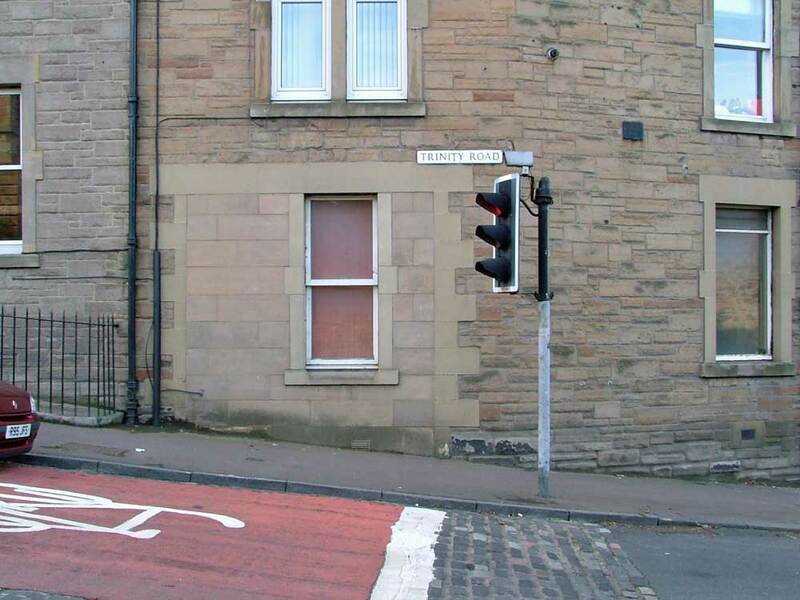 At 3 Lower Granton Road was a boot and shoe repairer – Mr George Cowe was a cobbler, repairing boots and shoes, sitting on a low seat near the window of his shop where he got a good view of passers by and of the traffic. He had a ruddy complexion, white hair and was an elder in Wardie Church. He was one of the men who swam summer and winter off Granton East Breakwater. 11 No. 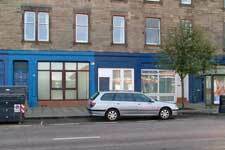 4 Lower Granton Road, Baby Linen, Newsagent, Tobacconist etc. 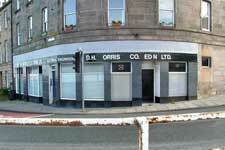 Mrs Fraser had a Baby Linen shop, Miss Gray had the business for a few years and expanded it. Mr & Mrs Henderson succeeded when Miss Gray got married. 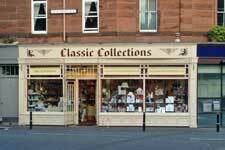 Mrs Henderson expanded the business with hardware, books, clothes etc. Mr Henderson became unemployed at the rubber mill and came more into the business. They continued in business for many years after World War 2. Mr Henderson was overtaken by ill health and died. 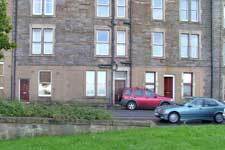 Mrs Henderson was then overtaken by illness and old age and she died. The business closed at this time. 12 No. 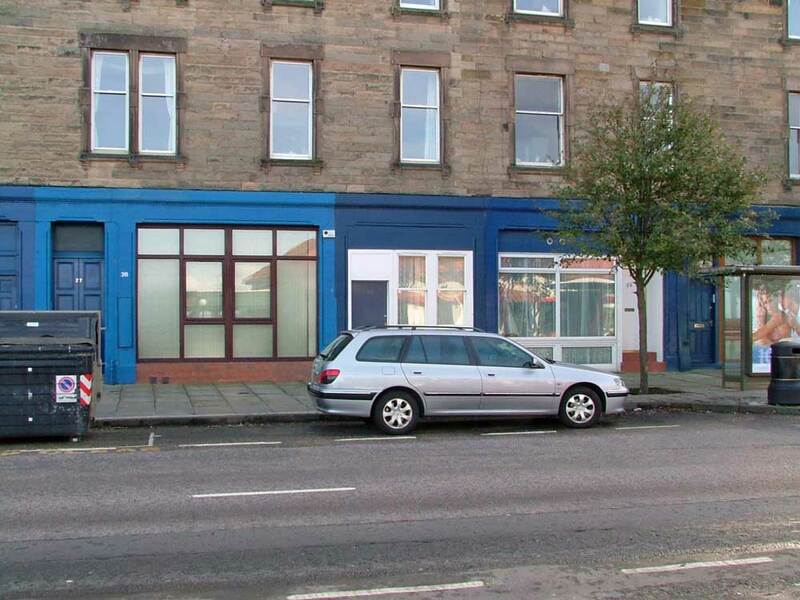 6 Lower Granton Road, Dairy and Grocer – Mrs I Hogg, Miss I L Hogg (Murray). 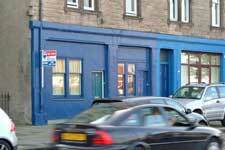 Mrs Hogg had a dairy business at 135 Trinity Road from 1906 to around 1918/20, moving to this larger shop on Lower Granton Road. It is probable that Public Health Acts warranted the move to larger and more suitable premises. 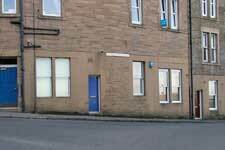 The main business was supplying milk and dairy products 365 days a year to the area and uphill in Trinity. Milk supplies came from Ashley Dairy, Wardie Farm, Barnton Dairy, Davidsons Mains. Murchie supplied a small quantity of bottled milk as did Fenton Barns at a later date. The van men poured the milk into bins which had sieves and muslin cloths attached to catch some sediment. Cooling and pasteurisation was not compulsory at this time. Milk was delivered seven days a week, morning and late afternoon (only one delivery on a Sunday). School children delivered the milk from about 6.30am in cans, pitchers and bottles in various quantities from a half-pint upwards. Morning rolls, bran scones, waterloos were also delivered at this time. The children would finish about 7.45, go home and set off for school. Some people bought 1d ‘a pennyworth of milk’ pre 1939. Groceries, bakery goods were also sold. Sugar, flour, meal, rice, tea etc would be made up into bags of 1 lb, 2 1b and so forth. Subsequent to Mrs Hogg's death in 1934, her daughter Cissy carried on the business. The milk trade was later given up owing to problems with the education authorities arising from children being late for school due to later deliveries because of the black-out. Miss Hogg married George Murray in October 1943, and the business continued as a grocer’s. 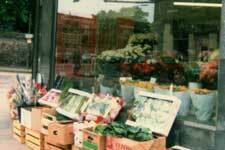 Some years after Mr Murray's death the business was sold to Mr Morris who continued as a grocer for a few years. The former shop is now a flat as are many of the other shops. 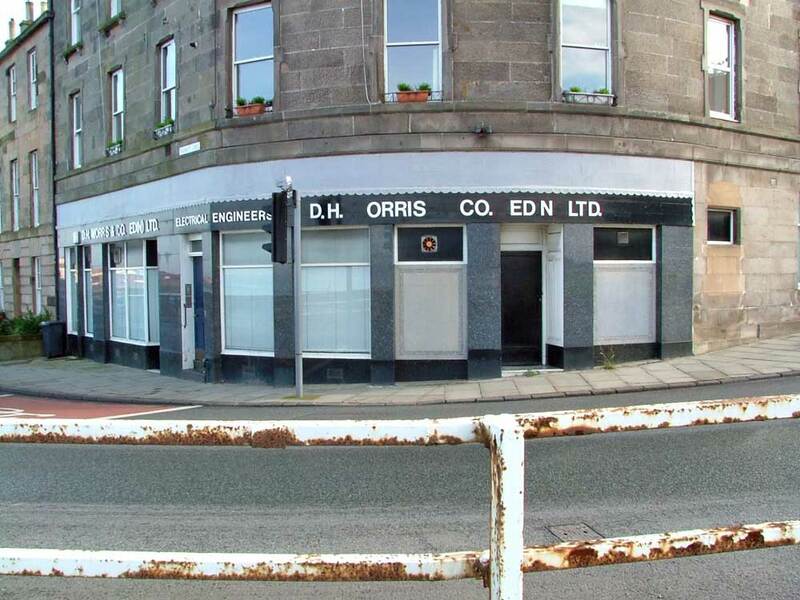 13 10 Lower Granton Road, Telephone Exchange – the telephone exchange had been situated at Granton Square, however it was housed in this main door prior to moving to the present Granton Exchange at Clark Road. Mr Smith, resident engineer resided at No. 11 and moved from that address about the time of the exchange’s transfer. 14 No 14 Lower Granton Road, General Store – Mr John Young had this small shop, a general store, which sold foodstuffs, newspapers, Sunday papers etc. His successors were not in business for very long. 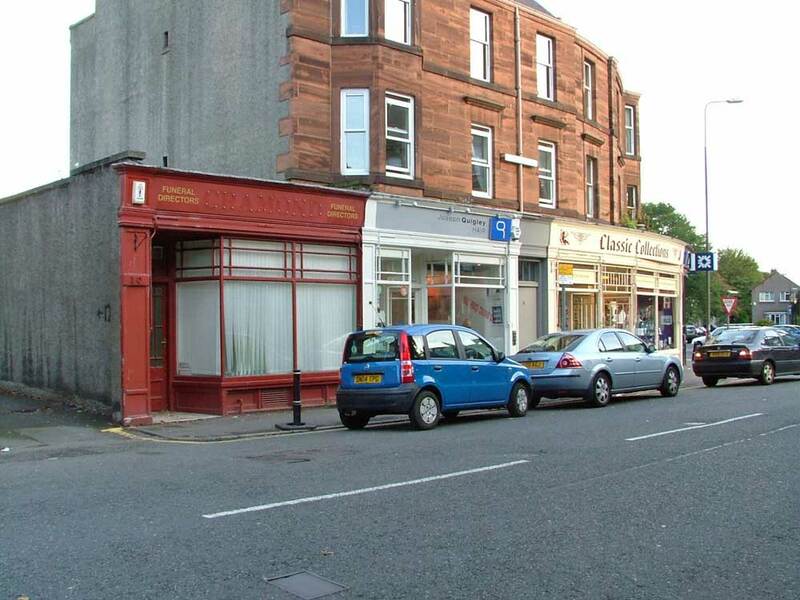 15 Lower Granton Road, Butchers and Home Bakery – Mr Sinclair had a butchers business here which closed down either due to old age or lack of business. 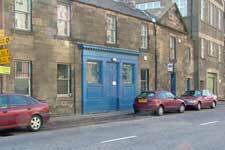 During the depression Leith Provident and R Smith's would have had most of the trade. 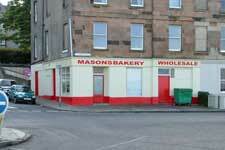 Mrs Gray ran a home bakery from here for a while which was not very successful. 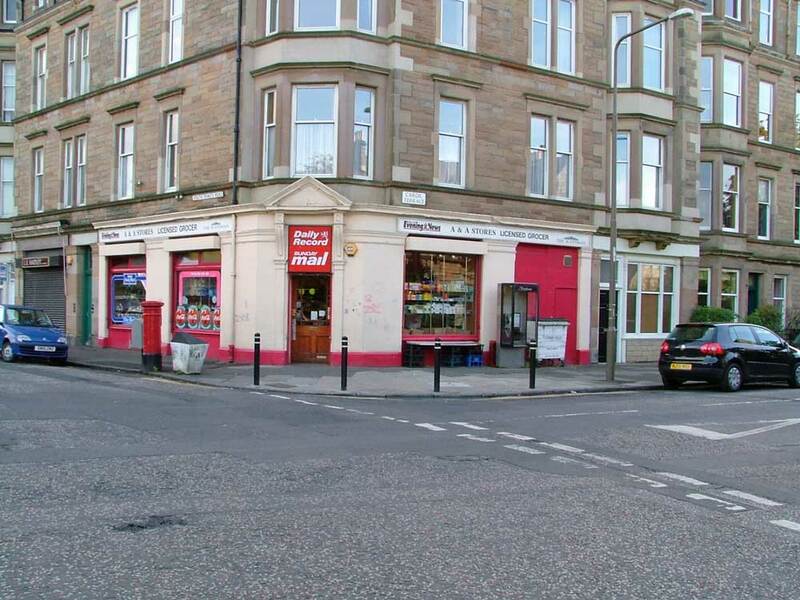 At number 17 Lower Granton Road was a grocer – L Smith grocer’s business latterly changed hands many, many times and was the last of the shops in the area to close. 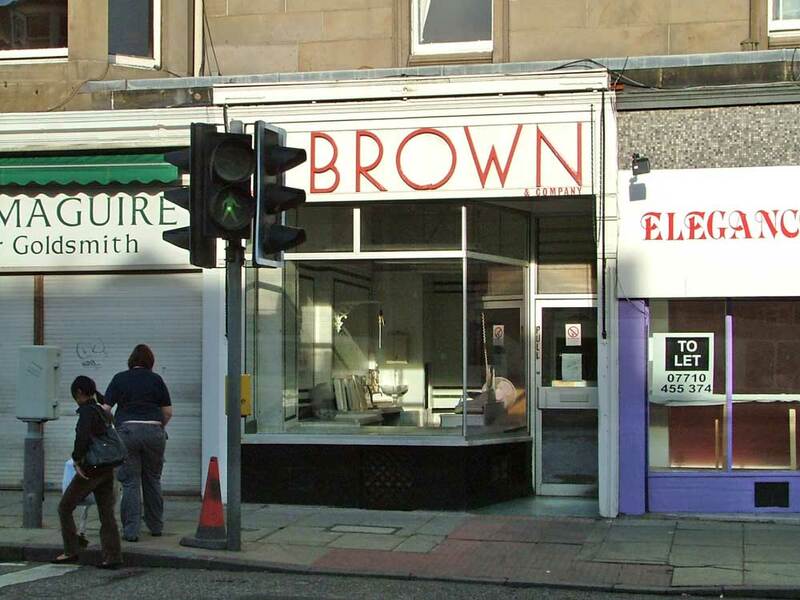 These shops were a butcher and a cafe. 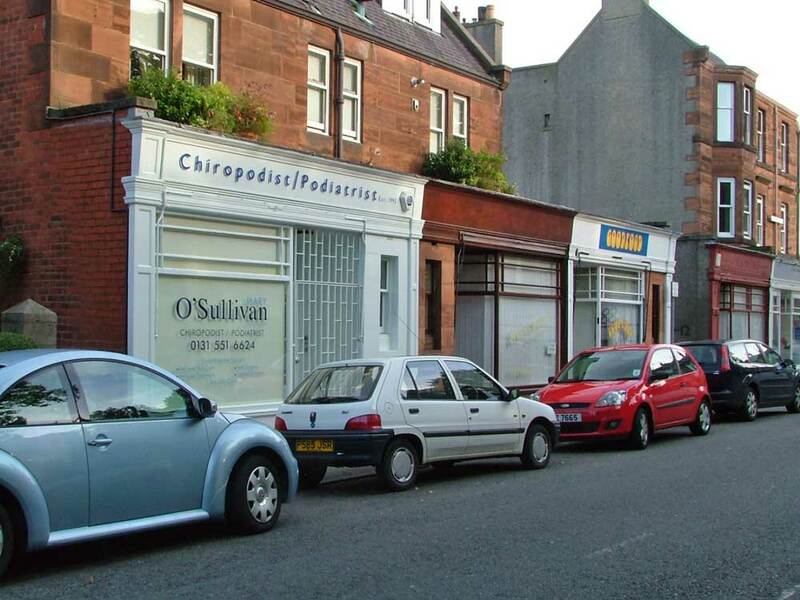 15 There is quite a walk until we come to the next shop, at 125 Lower Granton Road. 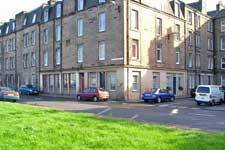 This part of Lower Granton Road was previously called the East Cottages, and was built by the Duke of Buccleuch for his workers. 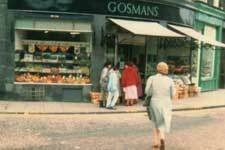 The shop was a small grocer’s, and was run by the MacPhersons of Wardie Square for many years during and after the Second World War. It was later to be run by the Lorimers, again from Wardie Square. Most recently it was an antique shop before being converted into a house. 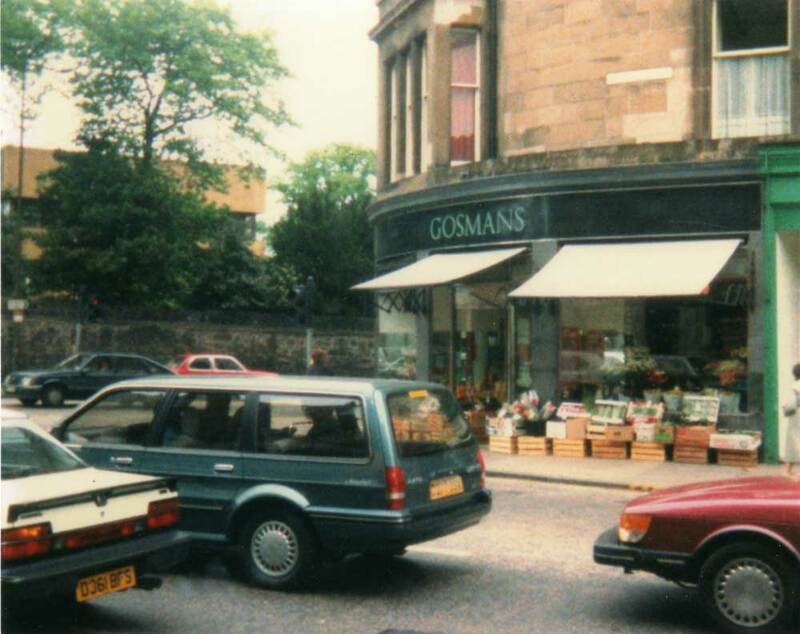 16 These two shops below the tenement were a butchers and a cafe. 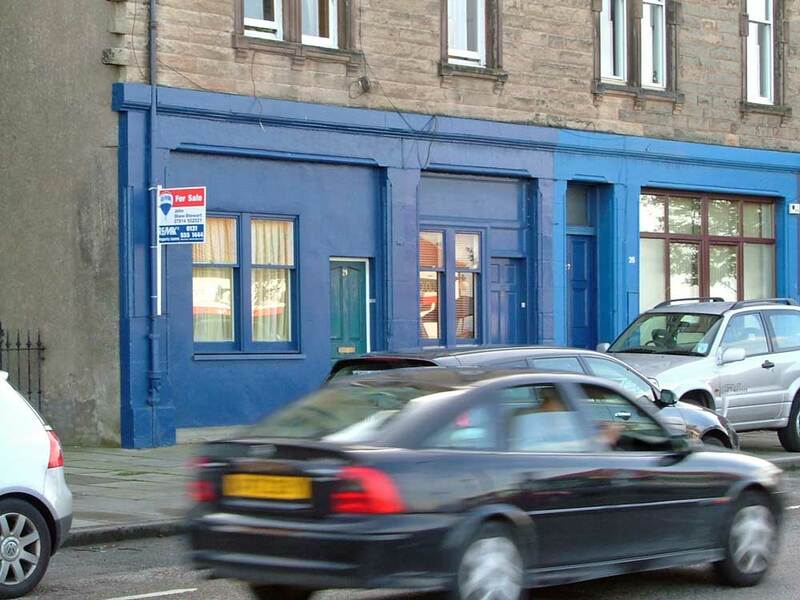 17 A little further along was a shop latterly used as a post office, although previously the post office had been at Granton Square. 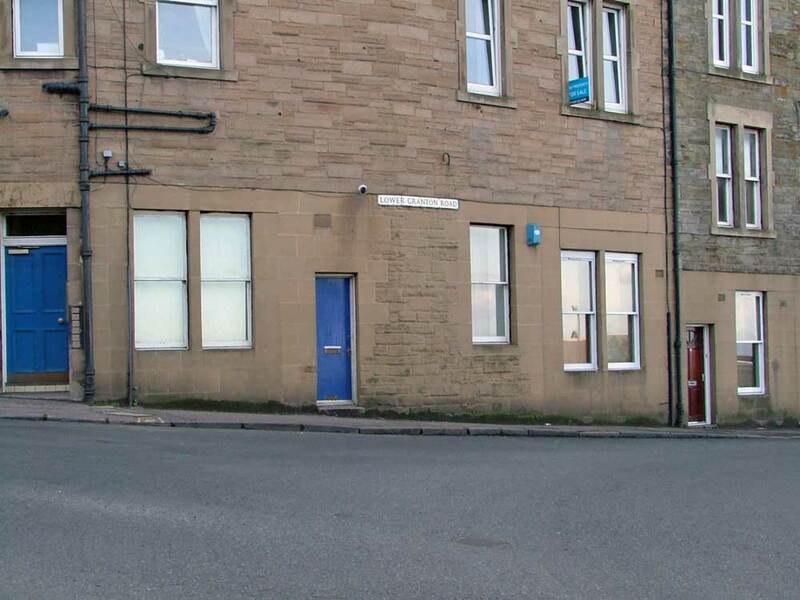 The post office closed down about 2004 and the shop has since been converted into a flat. Next to it was Edward’s bakery. 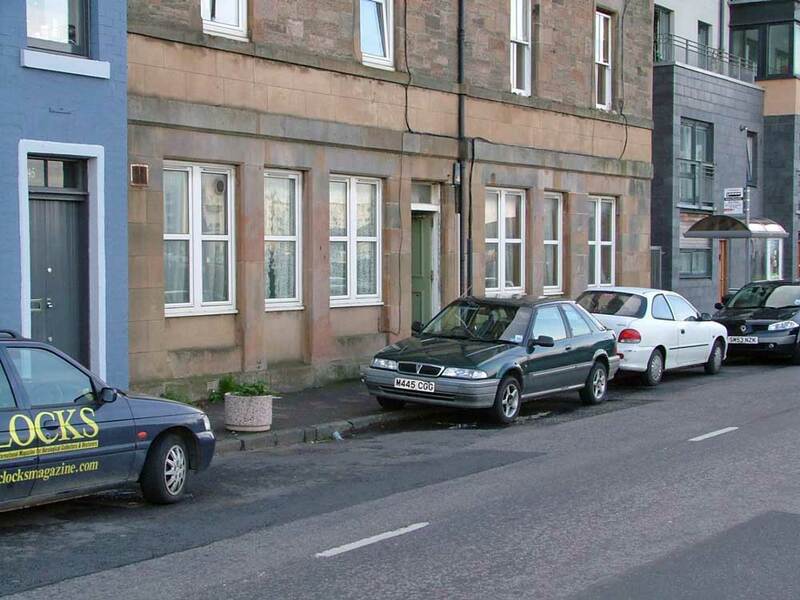 18 A little further along was the Granton Tavern public house, known locally as ‘The Tap’, a great favourite with the trawlermen when they returned to Granton Harbour after being at sea. 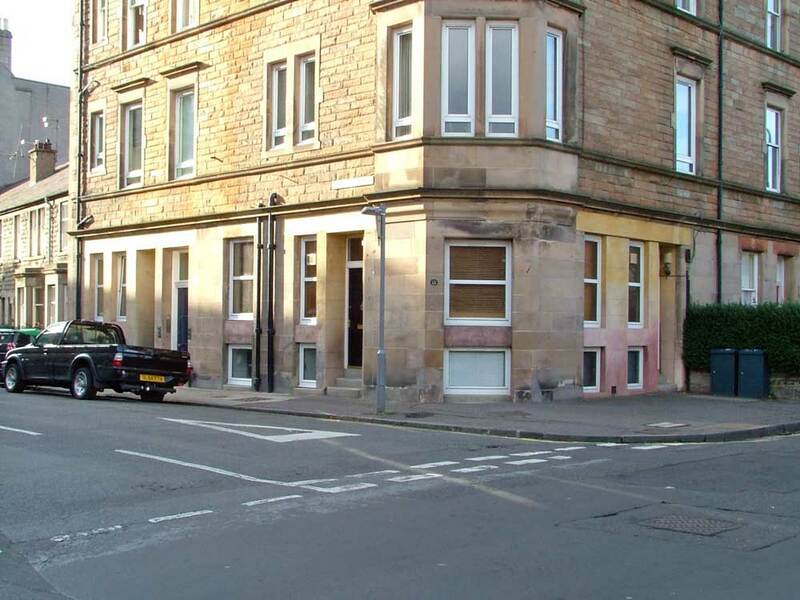 At one time it had been the Tap Room of Granton Hotel. 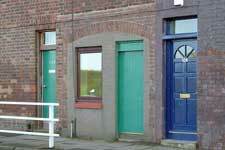 After it closed as a pub, it was converted to offices for the Leonard Cheshire Trust, but they have since moved on. 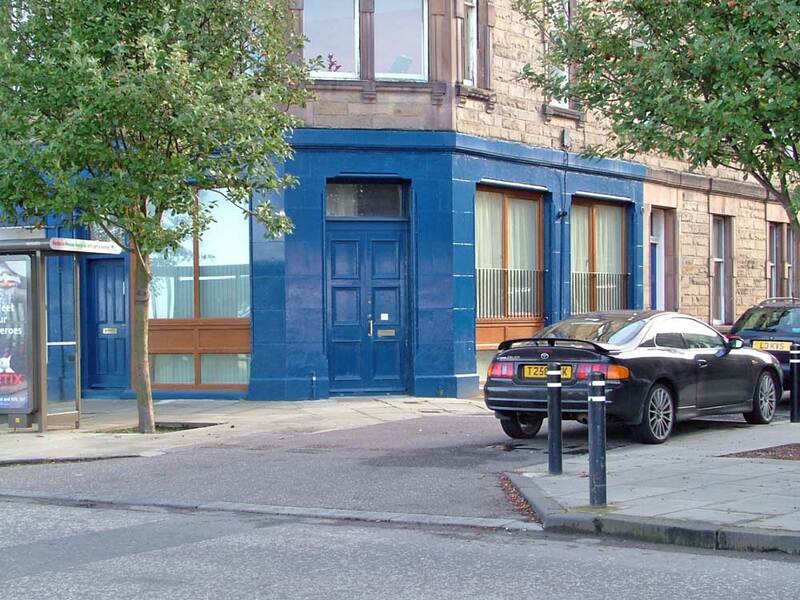 19 Round the corner at Granton Square, beside HMS Claverhouse – the former Granton Hotel – was a little single-storey building, for many years a post office, and since then a carry out food shop and cafe. 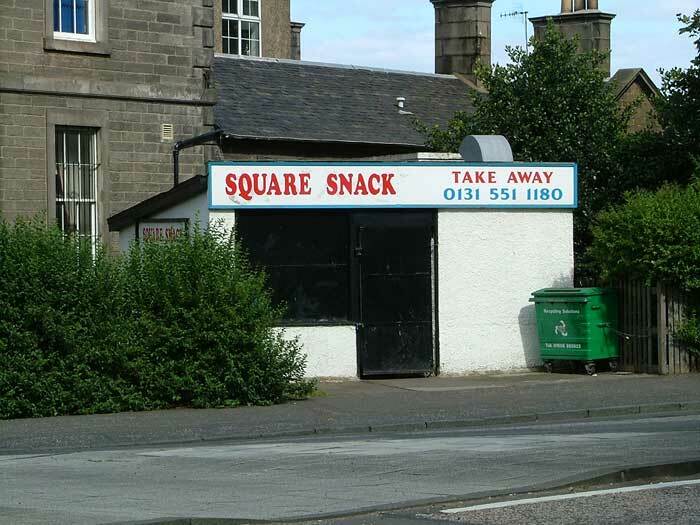 It operated for a long time as ‘Jaws’ and later was ‘Square Snack’ but is now ‘JoJo’s’. 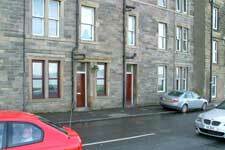 From here, you can continue the walk to South Trinity Road, or go up West Granton Road. 20 At the corner of South Trinity Road, at No 41, is Joe’s – he has been there for about twenty years. 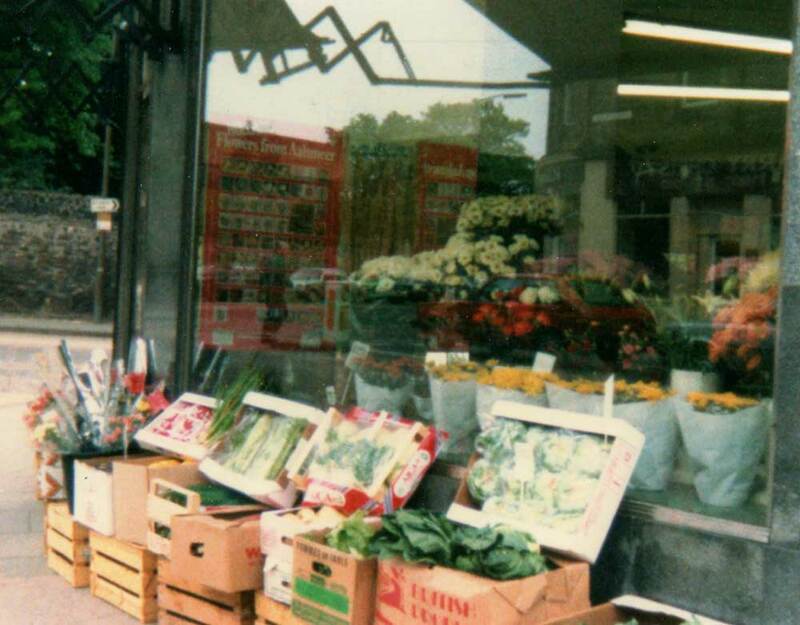 Before that the shop was also a grocery. 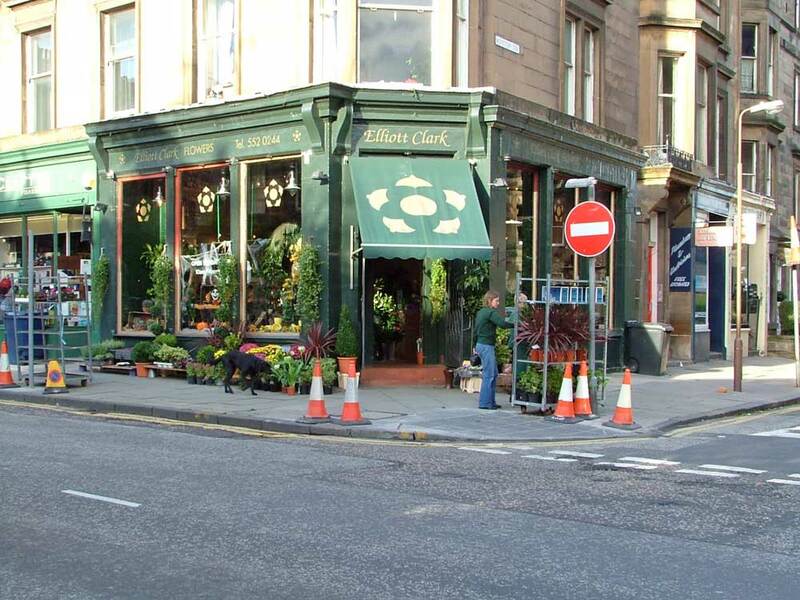 21 Next door is the chemist’s shop, now owned by Hartley, then there was Elliott Clark’s flower cutting shop. 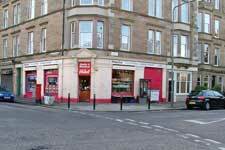 Their main shop is at Inverleith Row. 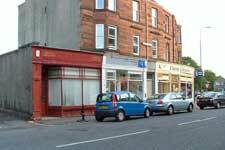 Next to it was Campbell the butcher, then Christine Adams, a wee newsagent. 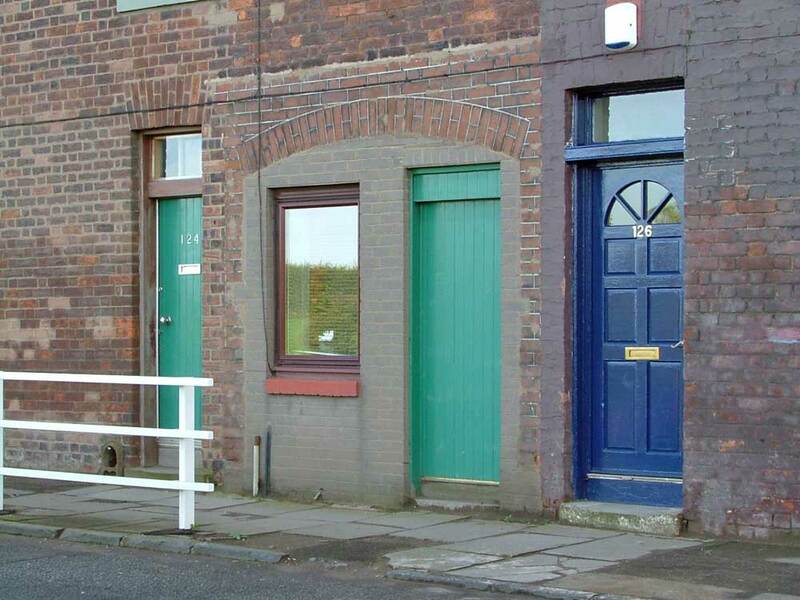 These shops have now been turned into houses. 22 Then at No 13 was Mr Aslam, who had been expelled from Uganda by Idi Amin. 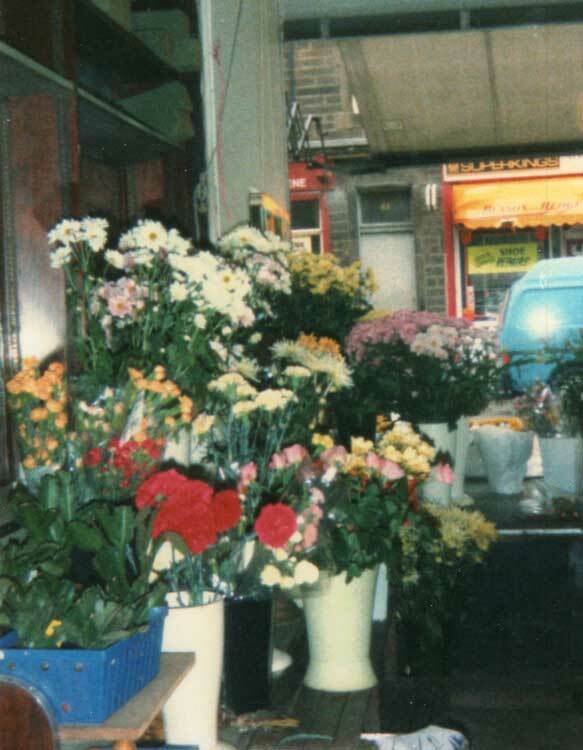 23 Wilson’s Ironmongers – remembered for its smell of paraffin. Miss Shand, haberdasher – a shop from a different age, with ladies’ knicker elastic from the Boer War! 25 June Jackson’s shop was Muffins, Well-Bread Sandwich, and before that Classic Connections. 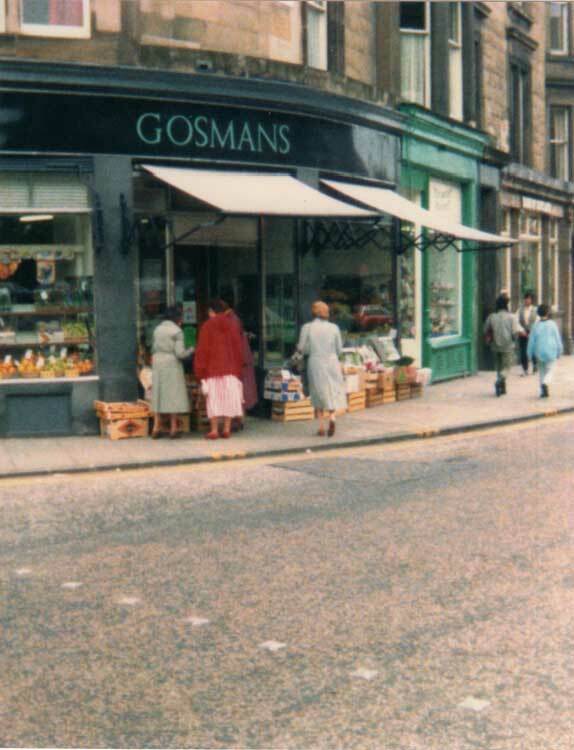 David Gosman’s first shop opened in 1910, as a fruiterer. He was in business until recent years. 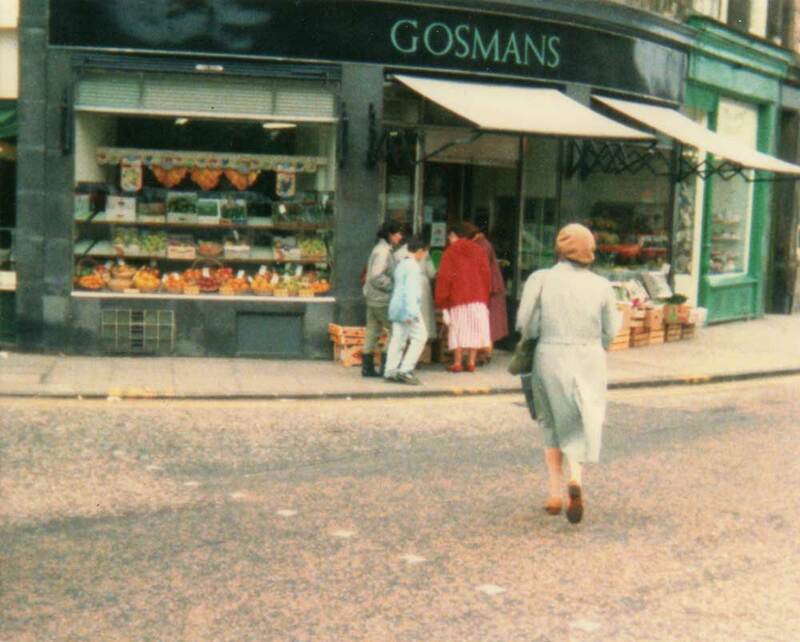 27 — 30 Photographs of Gosmans, courtesy of Ann Gosman / David Gosman. 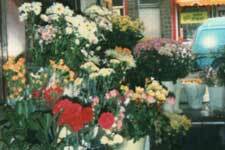 32 Elliot Clark, the classic flower shop with marvellous window displays particularly at Christmas, Valentine’s Day and Easter. 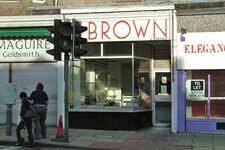 33John Brown’s fish shop – this has always been a fish shop since the tenement was built. John Brown was blown up in twice in the Great War but survived. His father told him to settle down and run a small shop and he took over in 1926. 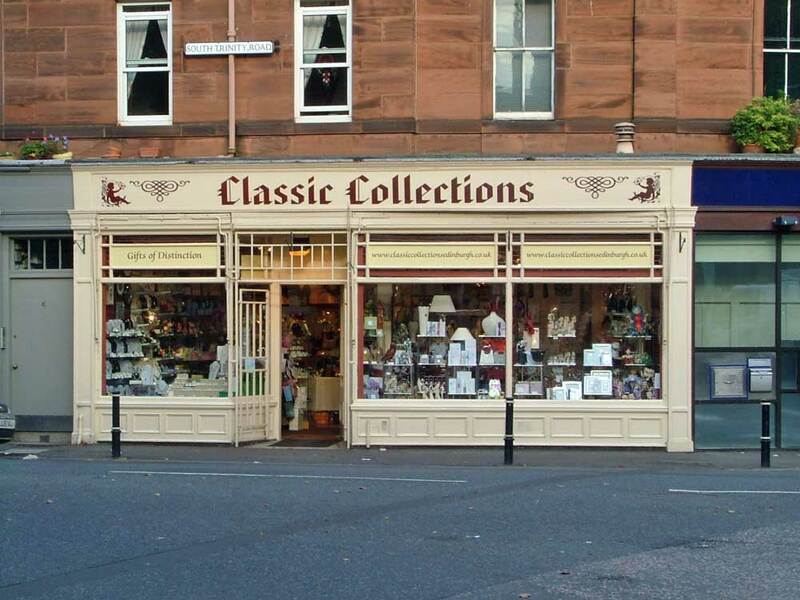 Ronnie ran the shop for 49 years, but it was recently taken over by Johnnie Croan. The material on this page is partly recollections from the 1930s by W G Hay, author of ‘Our Changing Waterfront’, and partly recollections and research by Ian Lutton. I gratefully acknowledge their contributions.